This is part 3 of a 4 part interview with Chris Reed of Reed's Inc. Be sure to start reading with part 1. This section focuses on ginger and why Chris loves it so much. Extra Ginger Brew has 26,000 mg of fresh ginger. Why did you get so interested in ginger? First of all, it’s in the top five of just about every herbal pharmacopia around the world, and it’s culinarily delicious - which is very rare. In the top ten or twenty herbs, there’s nothing else in there that’s delicious. Although, turmeric gets pretty good kudos and that’s a groovy spice. Garlic’s great, but that’s a little bit weird - it would probably fly somewhere like Gilroy. I like the fact that ginger is also a general tonic and an intrinsic tonic. Every day you’re eating food - every day you need to digest. There’s a huge nutritional industry out there for all the people who aren’t getting enough of their vitamins and minerals, and I figured, according to ayurveda (Indian herbology), digestion is king. If you are digesting and eliminating well, you have got your health down. That’s 90 percent of good health. I just love ginger. It’s appropriate for just about everybody, at every meal, all the time. It’s not a very precise, specific herb that’s supposed to do one thing, that it should only do under certain conditions. It’s just a general panacea and it’s delicious! I think it’s perfect! In my mind, you couldn’t design something better for me. It’s just absolutely the perfect thing. I’m a foodie. I’m into cooking, and ginger is it! Now, the studies are amazing. There are at least five studies showing it’s anti-cancer and it kills bacteria. That’s why they serve it with sushi, in case your raw fish is a little off. It’s great for arthritis, it’s so full of anti-oxidants, and it improves your ability to get your minerals and vitamins out of your food. What doesn’t it do? How many of your ginger brews would somebody need to drink to get the amount of ginger you think they should have in a day? One ginger brew is a lot of ginger. I mean, when they talk about doses of ginger, they are talking about 2, 3, 4, grams of fresh ginger being a significant dose. My lowest drink is 8 grams and my highest drink is 26 grams in a 12 oz. bottle. We use a million and a half of pounds fresh ginger a year in my drinks, so it's a lot. Where do you get all that ginger from? I look around for whatever is coming out of the ground - fresh crops. It can come from Hawaii. It can come from China. It can come from Brazil. We look for specific types of ginger, but we also just need to buy it fresh because that’s really what gives us our flavor. 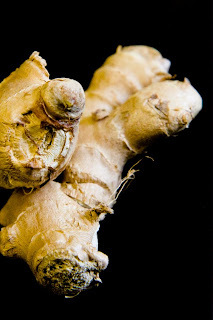 What type of ginger is best? Personally, I like the ones that are really yellow inside. They are in my mind the most aromatic. I get those from China and Brazil more than from other places. Hawaii also has some very yellow-core ginger. There may be a very technical name for it, but I don’t know it.